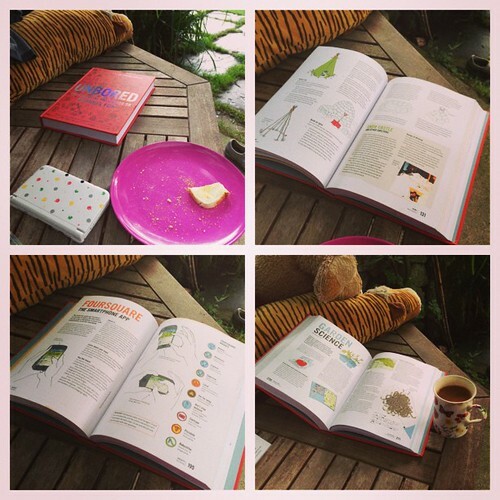 We are UNBORED: review of a great book. I was most disappointed when I joined big school (not much Chalet School adventure there) and Guides (nothing like the manuals of the 50’s at all); somehow the past seemed better. It was perhaps partly that that made me want to keep my girls out of school so they could spend more time just being and scrabbling in the dirt, making their own entertainment and games. By and large it worked, though I think I might have had to ban all gadgets for it to be perfect – and I’m too much of a techno geek myself to do so. But it is one of the things I most wish for them – and am most sorry about – somehow our home town doesn’t have the scope for such things. 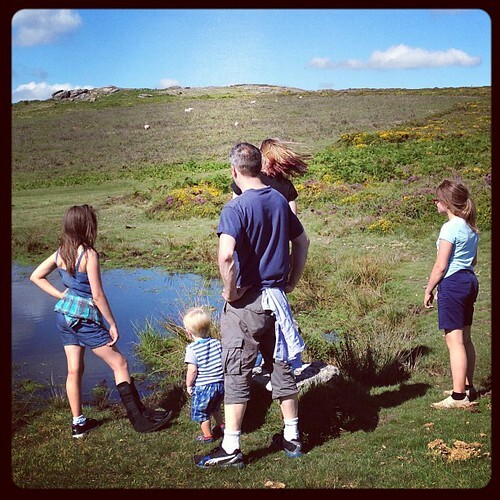 I long for them to have the run of Dartmoor like Max did, just playing and being and exploring and improvising. This game said it all to me yesterday; I would have played Famous Five or Swallows and Amazons and they played The Hunger Games but the effect was the same. Two hours of intense fun and hot pursuit in an imaginary world and the joy of the game ending with a well earned breather. In the last little while there has been a flourish of books that appeal to the daring do of kids and we own plenty of them. They’ve been adored books at Christmases, encouraged them to try new books from snippets inside them, inspired new activities. I don’t think any of them have been quite as admired as UNBORED though, which we got sent to review recently. It appeals to me for so many reasons, at least one of which is the fantastic, evocative illustrations in three or four tones of line drawing and colouring that mix with the photos throughout. The premise of the book is fabulously 21st century too while keeping all those traditions of the get on and do book that I so approve of. It mixes clapping games (oh, we have such a responsibility to keep those playground games going) with geocaching, making a mouse house with lolly sticks or learning to blog, interesting facts about the history of travel tucked in with a excerpt from 80 Days Around the World. It balances the old and the new so beautifully, so engagingly and so inspirationally that it is hard not to just want to leap up and “do!” instantly. Maddy gave the book 9/10 – she didn’t have a reason for it not getting 10/10 except that she hasn’t read it all yet! “Use the World, or the World will use you”. Good advice. Disclosure: We were sent this book free to review by Bloomsbury. All views are unbiased and our own. The link to Amazon is an affiliate link which would give me a (very very very) small commission. I’ve had a mixed relationship with the old play area. The sand was annoying, though the kids kind of liked it and it felt a bit dowdy and stuck away at the back. The water was not quite warm or deep enough for an adult to be happy if they were half in and half out and you did feel quite isolated as it was only for ages up to 8. Add to that the fact that adults couldn’t do the flumes, making it hard to coax nervous smalls on to the for the first time and it was ‘okay’ but I wasn’t sorry when my lot wanted to move on. We tended to end up with me and the toddlers in the play area and daddy out in the main bit with the bigger girls. As I said, in our trip this year I didn’t really miss it, because the lagoon and the addition of noodles and play floats to the pool for sharing, made the main area just fine. I’ve got no photos of my own from the day since a very hot train journey wrestling Bene, a car seat and talking to Josie kept all my hands free, but I do have a couple taken by the lovely Lindy for the Tots100. Thanks both 🙂 (Also, just added some in from the CP photographer, so thanks also to them). The new cove is very different to the old one, even though it is in the same space. The sand and low walls are gone and the baby and toddler end is now a walk in ‘beach style’ pool with water tracks and gates to play in. There are benches in the water for parents to sit on and a mini slide plus a big slide for adults and babies to go on together or toddlers to manage alone. Down the other end is a bigger change. There are still three flumes (nominally aimed at children rather than teens and adults) with lovely coloured lights inside but anyone can go on them. So if, like us, you end up with a family spread across a lot of ages who want to be together, anyone can go on them. There is masses of water everywhere, falling from a gantry of steps and scramble nets and walkways; buckets pour water, sloshes of water suddenly cascade down on you and fountains spray up while torrents fall down. It’s very wet, loads of fun and really quite noisy in that ‘waterfall’ sort of way. Josie loved it, as did her little pal. A great fun, sensory experience that will cater far better for families who want to spend some time in there while the little ones can poddle about. Well done Center Parcs, you’ve come up trumps. Now I just need to ever be able to save up enough to come in school holiday time! Disclosure: We’ve been a Center Parcs family all year and on this occasion were invited over, given a day to swim and explore and enjoy goody bags as well as lunch out in the very lovely Hucks. We’ve loved our year with Center Parcs and thorough recommend you enter this months competition to be in with a chance of a trip like we had in May. 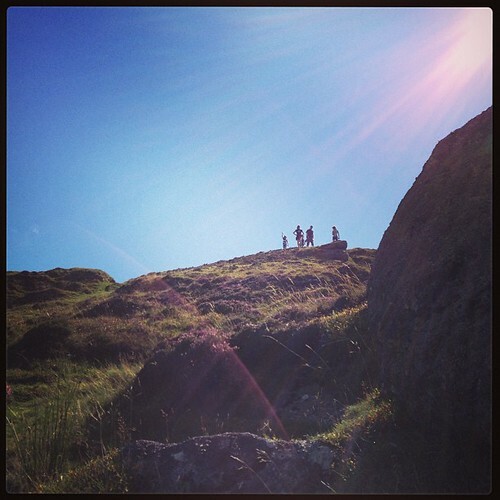 This month, it’s a nature challenge. This post first appeared on Patch of Puddles. The best thing in the entire world about having a blog that gets offers of reviewing products is that quiet and unassuming people like Maddy sometimes get to review things that I wouldn’t be able to justify spending money on at anytime that wasn’t a birthday or Christmas. 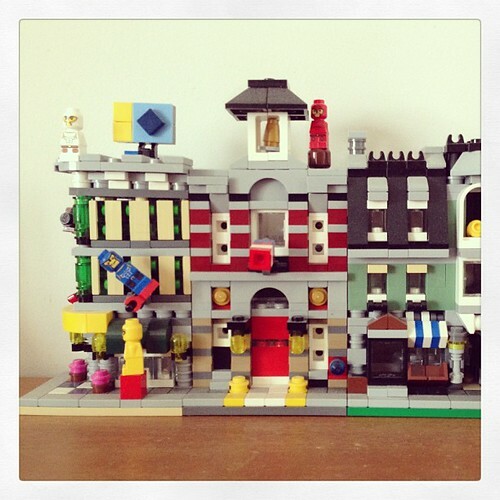 And even then it would be a stretch because much as I love Lego and love everything it does for my kids, £150 is a proper sized present, not an impulse buy, in this house. When I was little, to my Mum’s despair, I just made model dogs, horses, stables and kennels and twittered away to myself for hours in my own little Lego world. But for Maddy and Max, this model epitomises everything they love about Lego… they can talk hydraulics and pistons and… erm… you know,m stuff like that. They can spend hours fiddling about with tiny gears and bits that move and in the end… hurrah… they have something that looks like this! I also have a video clip of it in action but as I used Instagram’s newfangled Harry Potter style video clip thing, I can’t embed it… so you will have to go and look. It’s about time someone asked me to review either a tummy tuck or something pretty. I REALLY need a new kitchen. 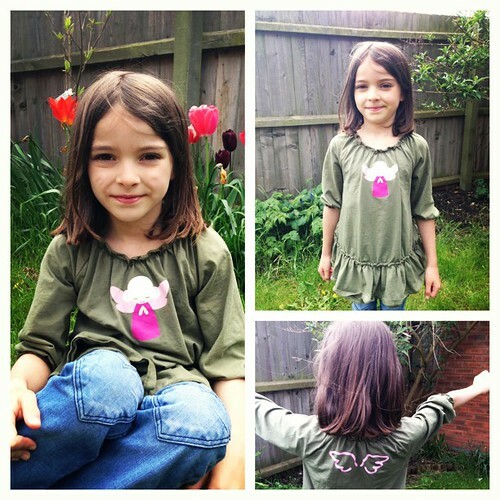 Review: Josie reviews the me&i Angel Blouse. Being the youngest of 4 girls does mean a variety of good and not so good things. One is, big people to show you the way. Another is lots of clothes handed down in a mix of styles. Another is NOTHING.NEW.EVER. So this week Josie has struck out a bit. Firsat of all she has made the decision to go to school, making her the youngest Raymond to ever decide such a thing. I think she felt in need of a new challenge and was worried that, with all the big three off to school permanently in September, home would be a bit lonely. (And I might make her work harder!) Since the school Fran and Amelie have gone to as year 6’s is full, it looks like Josie may well end up going somewhere no one else from our family has been. Wow. No big sisters beating the path for her. Big stuff. (I’ll wibble about this some other time). And her other show stealer was nobbling the review clothing item from me&i, a Swedish clothing company ‘for cool people’. She was very pleased to get to choose an item and went for the Angel Blouse, a cute khaki number with an angel on the front and a pair of wings on the back. Excuse the fact I appear to have taken a photo of her with tulips growing out of her ears. I’m sure it didn’t look like that at the time! Josie took a little while to get used to the sleeve length as it’s 3/4 and elastic and she gets a bit sensory about these things, but she loves the design and the fact that it is pretty and cute but combined with a colour that feels modern and rough and tumble. She decided it is not an under a coat dress but perfect for cool floating about and over jeans or leggings. (I can’t get my girls to wear skirts). I loved the feel of the fabric, which is a nice t-shirt feel but really cotton-y and it washes well, is fit to wear after without ironing (very important, irons are for Hama Beads) and the logo stayed nice. Disclosure: we were sent one top from the me&i range for the purpose of this review. My children always like the opportunity to review food. Frankly, it doesn’t come round nearly often enough 😉 So they were delighted at the prospect of reviewing some healthy crisps from Walkers, since we almost never have crisps at all. 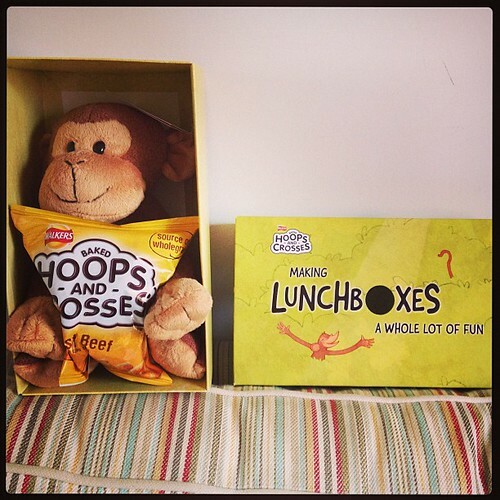 Their enthusiasm was only slightly dampened by only getting a one fifth of a packet each – but the monkey made up for a lot 😉 He’s called Gibber; ten points if you can guess who named him that and why? (Edit: my sister texted me the answer first. She might give you 2 points if you are next). Anyway. The crisps are yummy. I liked the flavour and texture and all the kids came back for more. They reminded me a little in texture of a type of snack which is is often pickled onion flavour 😉 and you can put on your finger. I like the non-greasy, light puffed corn feel and the flavour was strong but tasty. The shapes are a bit novel – noughts and crosses – but you probably wouldn’t play a game with them as your brother would eat your pieces. Disclosure: We were sent the above pack for the purposes of this review. Edit: oops. Forgot. And I’m being paid too.